« CCTV Customer Service – or lack of it? 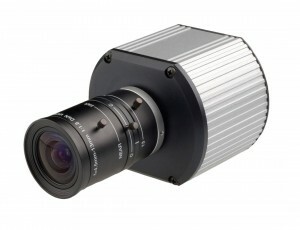 IP cameras are now an acceptable part of any security system. IP cameras are flexible, cheap to install and get rid of the need for fused spurs by replacing them with POE switches instead. CCTV Installing companies under increasing pressure to ensure they certify electrical work on fused spurs are seeing huge advantages of this fact. IP cameras may be a little more expensive to buy but the total cost of ownership (TCO) is greatly reduced because of the time that can be saved installing them. Anyone looking to capture events that require facial recognition or clearer evidence of any incident should consider HD or megapixel cameras together with advanced VMS software that will allow incidents to be enlarged without the drawback of pixelation interfering with the image. When considering a CCTV system you may be better off instead with a video surveillance system instead, this is effectivley cameras on a network, lots to consider but in the long run a future proof option that gives greater flexibilty. Check out some of our articles about IP cameras and video management systems before investing in an analogue CCTV system that may be cheaper, however in the end why settle for second best? This entry was posted on Friday, April 8th, 2011 at 04:43	and is filed under IP cameras. You can follow any responses to this entry through the RSS 2.0 feed. Both comments and pings are currently closed.